Yates, Mrs. Frederick (Elizabeth Brunton) (1799-1860): Her husband’s death in 1842 left her with managerial duties with which she quickly dispensed. In 1844, Madame Céleste and Ben Webster took over the theatre and Buckstone became resident dramatist. Elizabeth played Geraldine in Green Bushes 82 times. 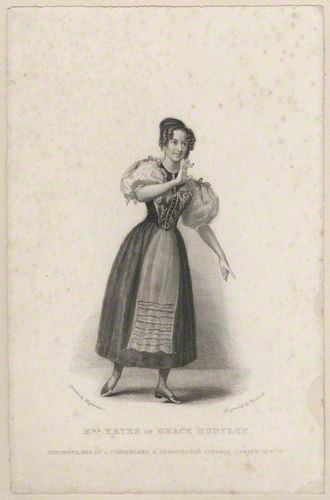 Her last full season at the Adelphi was 1846, though she appeared very briefly in the following two seasons. She died in 1860 after a long and painful illness.